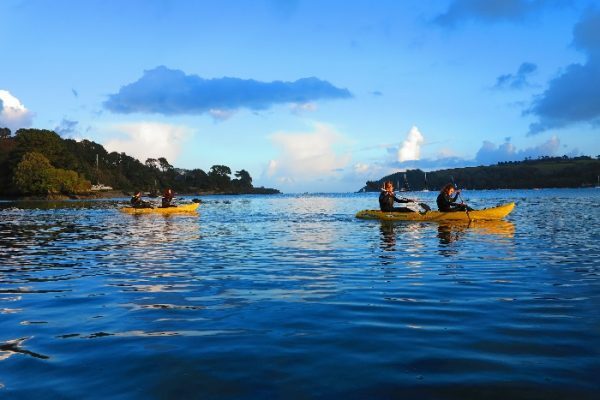 Frenchman’s Creek Kayak Adventure launches from the private beach of the Budock Vean Hotel near Falmouth and the creek was the inspiration for Daphne Du Maurier’s famous novel. 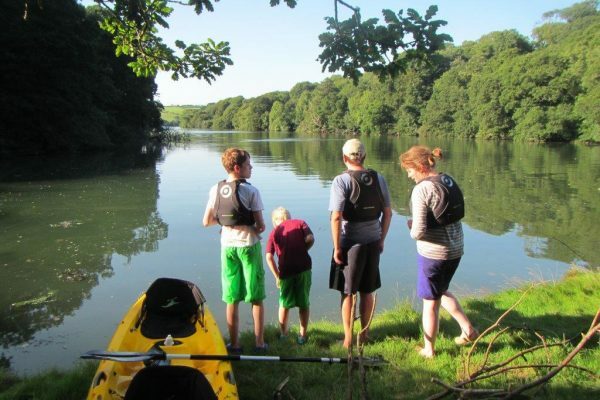 Kayaking in Cornwall with Koru Kayaking is a great family activity. 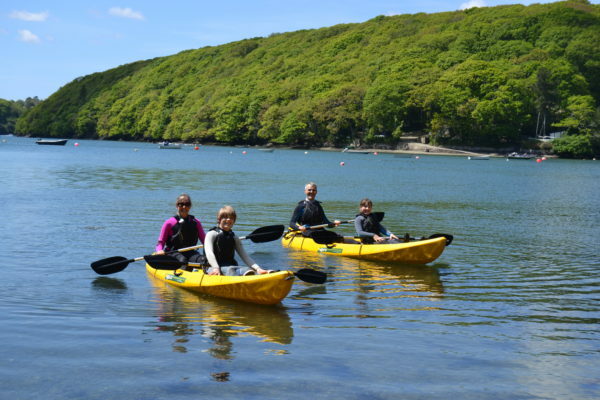 A guided kayak adventure is a great team building activity whether it is an office outing, a stag or hen do or a birthday party. 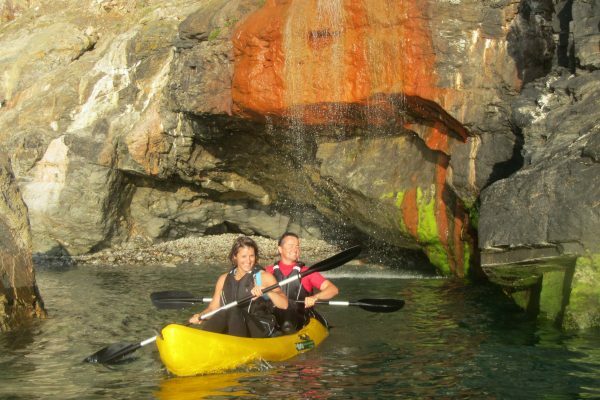 We run kayak adventures through out most of the year and kayaking is just as fun on a rainy day as it is on a sunny day. 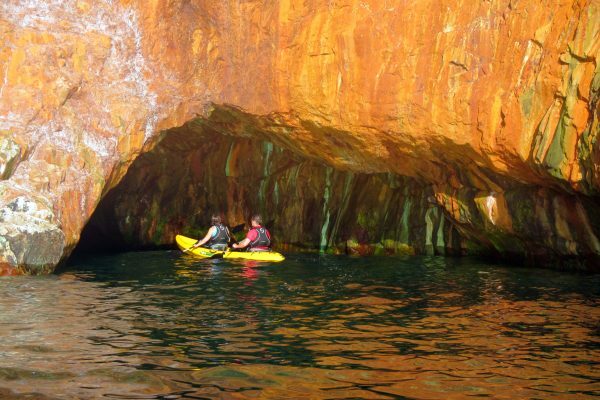 The kayak adventure lasts approximately 2 hours and on hot days will include a swim off a secluded beach. 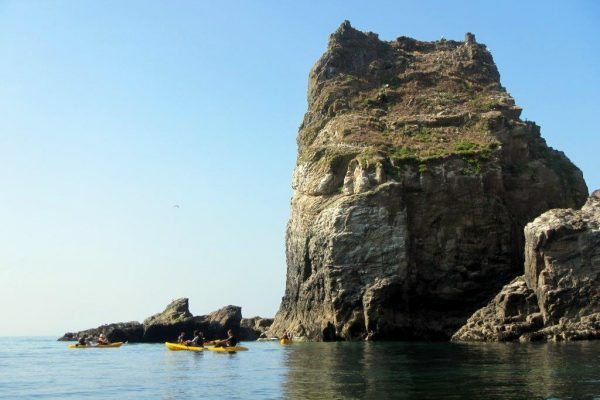 In the summer we run 4 tours per day and can accommodate 8 people (on 4 tandem Kayaks) per North Coast tour from Trevaunance Cove, St Agnes and 8 (possibly more) on 4 tandem XL Kayaks per Frenchman’s Creek tour from Budock Vean Hotel, Port Navas Creek. 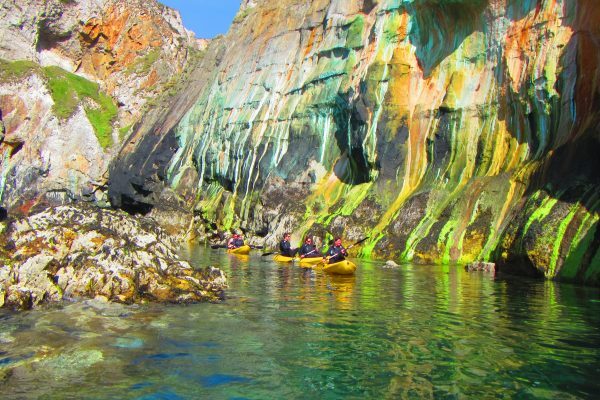 Whether it is the dramatic cliffs, coves and World Heritage Mining on the North Coast or the ship wreck and oak woodland on Frenchman’s Creek the scenery is unforgettable. 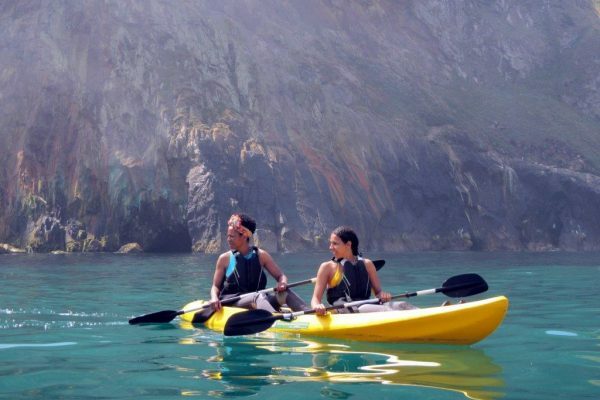 Kayaking is a great way of seeing the best of Cornwall while keeping fit. 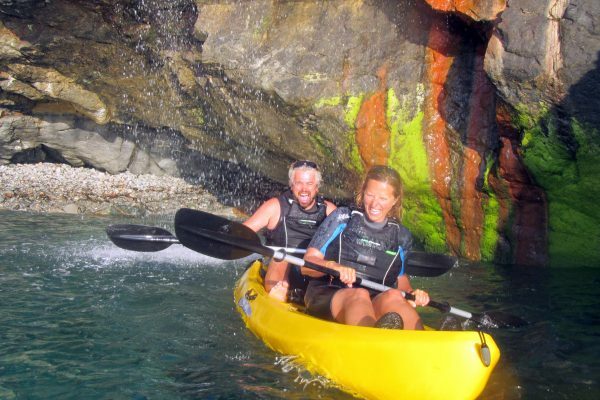 No experience is necessary and our experienced guides will show you kayaking techniques and go through a detailed safety briefing. 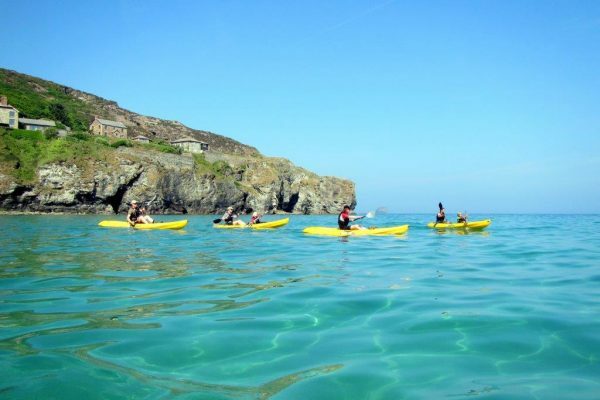 Koru Kayaking works closely with the RNLI Lifeguards at St Agnes and your safety is our number one priority. 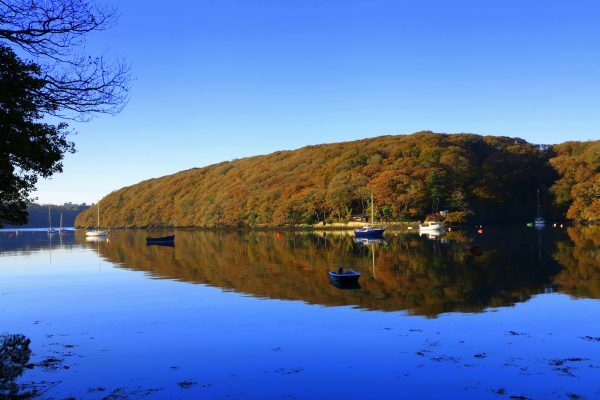 Buoyancy aids are provided for all participants and it is our policy that everyone should wear one. 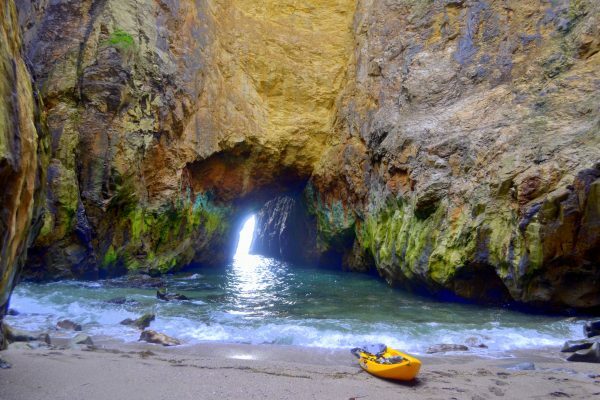 Children have to be accompanied by a parent or legal guardian and the guide will determine if the conditions are suitable for children. 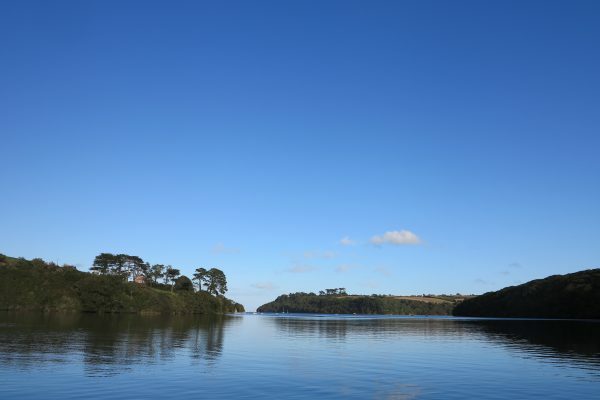 Locations of our tours can change on a daily basis due to weather and sea conditions. 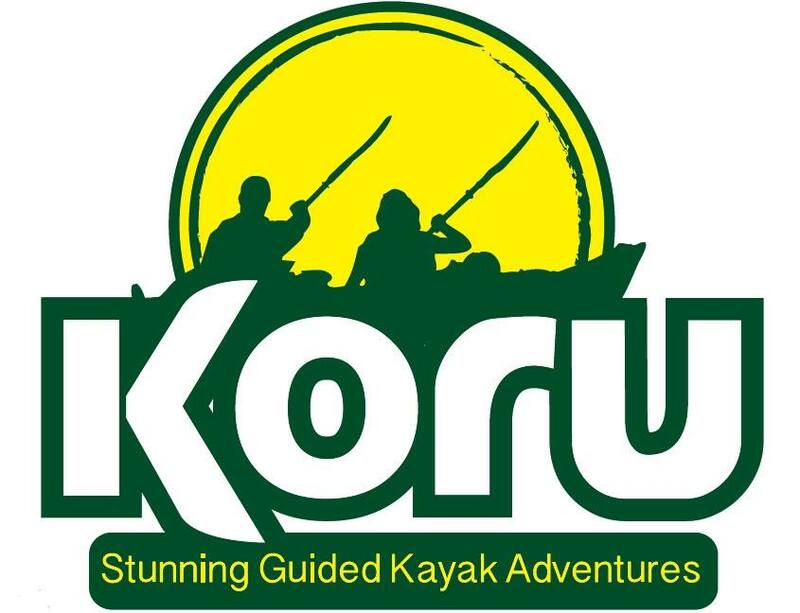 We advise that you book in advance to avoid disappointment and we look forward to welcoming you on a Koru Kayaking Adventure.